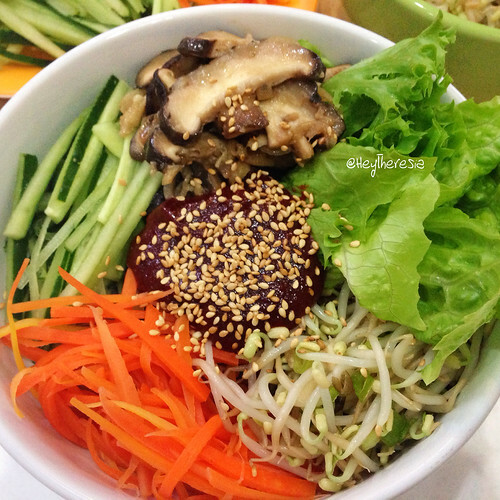 This is one of my favorite dish, vegan bibimbap. Sometimes I make the vegetarian one by adding sunny side up egg or raw egg (if I use hot stone bowl). The key ingredients in bibimbap is gochujang (fermented korean red pepper paste). 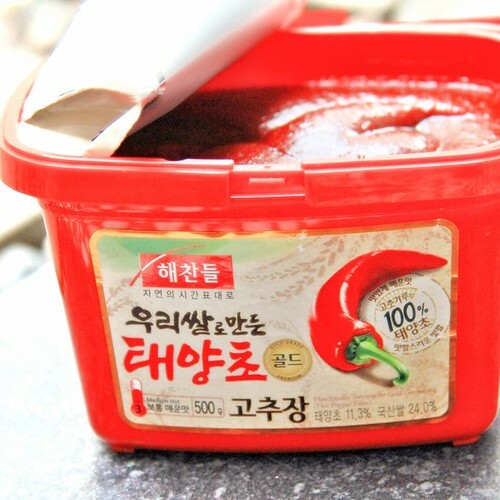 I personally love gochujang, it works really well for dipping sauce, salad, and it is the main ingredient for ddeokbokki sauce. Mix the blanch spinach / bean sprout with green onion, minced garlic, soy sauce.